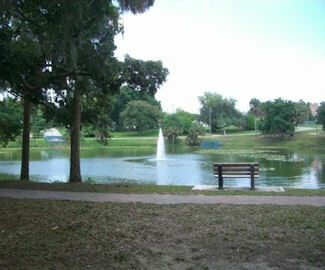 Located in the center of Florida, Davenport is a small town in Polk County that offers charm and warmth. While Davenport itself is very small, with a 2010 population of 2,888, the area north of the city close to Interstate 4 and US 27 is experiencing explosive growth. Davenport is less than one hour from Orlando, making it close to many of Florida's best attractions. Visitors will enjoy Davenport's historic district, the quaint downtown shops, area events and festivals, and picniking under a tree at Lake Play. As of the census of 2000, there were 1,924 people, 708 households, and 536 families residing in the city. The population density was 1,230.5 inhabitants per square mile. There were 913 housing units at an average density of 583.9 per square mile. The average household size was 2.55 and the average family size was 2.90. The median income for a household in the city was $29,408, and the median income for a family was $41,000. The per capita income for the city was $15,544. Area Economy: Posner Park, a large outdoor shopping center is located at the intersection of Interstate 4 and US Highway 27, in northeast Polk County. Information from Wikipedia. The Horse Creek Festival held in November offers free admission. 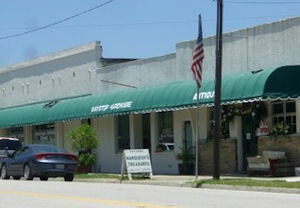 Festival events include the Florida Heritage Invitational Art Show, Baking Contest, Florida Quilt Display, Antique Cars, Vendors of Florida Citrus Labels , DSA Art Display, Children’s Heritage Games, Historical Displays & Demos, Florida Foods, Native Gardens and UF Master Gardener’s workshop and various vendors and activities. The Biennial Quilt and Tea Festival, held in November, is sponsored by the Quilts and Tea Committee, The Davenport Historical Society and Hosted by the City of Davenport. Davenport's Hometown Christmas is held in early December in Downtown Davenport at Lake Play & Bay Streets. Festivities include a visit from Santa and Mrs. Claus, electric night time parade, cookie decorating, Lighting of Lake Play Park, and 'Cruise In' with classic cars and vendors. Photo on the left is Historic Downtown Davenport, courtesy of the official website of Davenport, see link below. Ridgewood Lakes Golf Club in Davenport, Florida has a Ted McAnlis-designed layout with a top reputation among golfers. Features include new Champions Turf greens, new bunkers, leveled tee boxes, and lush landscaping. Located in the master-planned community of Ridgewood Lakes in Davenport, FL, Del Webb Orlando is a neighborhood for people 55 and better and is quietly tucked away among pristine lakes and nature. 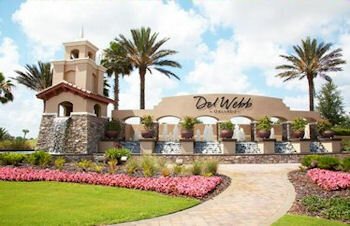 Just minutes from major freeways, endless shopping, fine dining, first-class medical facilities, and world-class theme parks like Disney, Universal Studios, and Sea World, Del Webb Orlando offers residents an enriching, exciting lifestyle. The 30,800 sq. ft. Montecito Clubhouse has activity offerings to keep you busy night and day. and provides the perfect setting to gather with friends and family. Amenities include a game room, a learning/business center, a juice and coffee bar, lounge, a Gathering Hall and grand fireplace, a fitness center, a swimming pool and spa and more! Contact the community at 866-671-3330 Mon-Sat 10am-6pm and Sun 12pm-6pm. Susan Melton - Senior Real Estate Specialist in the Orlando area and Central Florida located at 204 Del Sol Ave Davenport, FL 33837. Specialist in Retirement Homes, Active Adult Communities, Over 55 Communities, Working with buyers and sellers, and New home consulting. 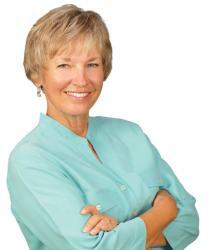 The tropical sun team consists of two experienced realtors, Susan Melton and Joan Riggs. As a team we provide expert advise and help our clients achieve their retirement goals.